Before I hit February I really wanted to get a recipe in January for all of you. I know my cookie recipe is still due but that will be the next one. These are extremely delicious and simple to make. Once I start I can’t stop eating them. I bet you won’t be able to either. Spray muffin pan with Pam Vegetable Spray. Press wontons wrappers into muffin pan. Bake in the oven for 5 minutes, when done, set aside. In a bowl, whip cream cheese with a hand mixer for 1 minute, until creamy. Add butter and hot sauce to the cream cheese, stir together with a spatula. Add chicken and blue cheese, mix until combined. Drop 1-2 tablespoons of mixture into wonton cup. Use fingers to spread mixture inside of wonton. 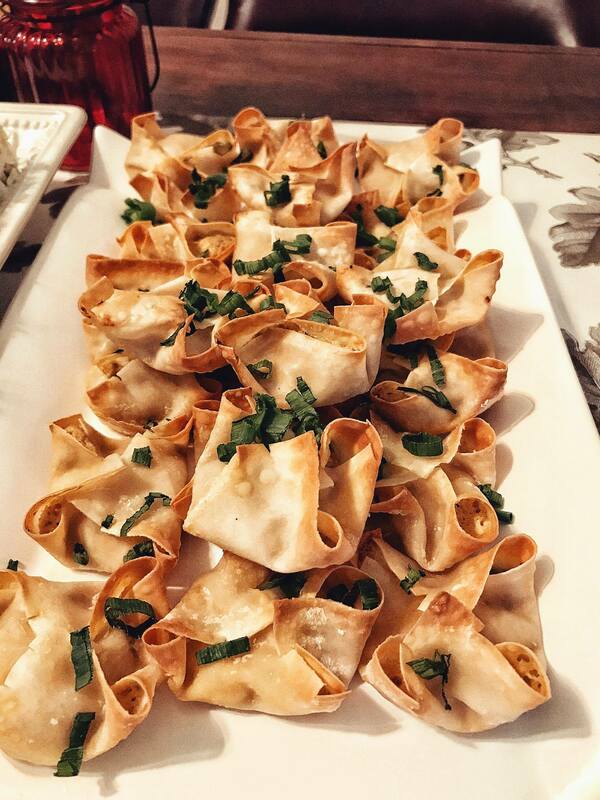 Place muffin pan in the oven, bake for 8 minutes until wontons are crisp. Sprinkle chopped onions over wonton bites.